The Mental Health Center provides mobile treatment services throughout the community and along with case management services for the most psychiatrically fragile adults and children. Per the State of Maryland regulations, priority consideration for admission into our mobile treatment services is given to people with extensive long-term inpatient psychiatric care histories, those who have been incarcerated and/or homeless with specified major psychiatric diagnoses. Our mobile treatment team strives to build a service and support foundation for each adult patient to initiate and develop a recovery plan. Building that foundation may include accessing more stable housing, managing and maintaining access to somatic health care, substance abuse education and prevention, eating a healthy diet, managing finances, managing medications and finding recreational opportunities. 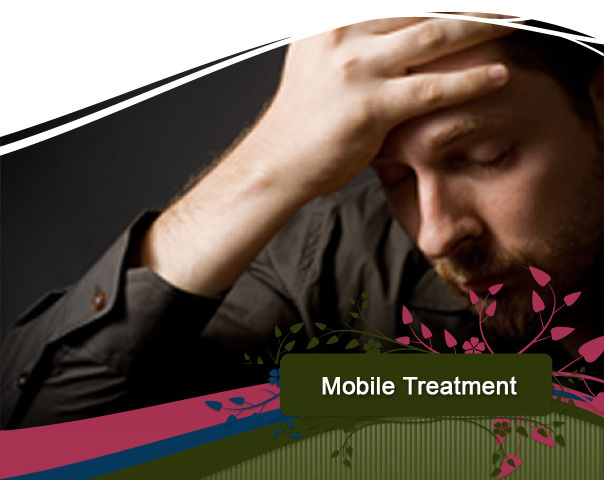 As the patient symptoms and situation stabilize, the mobile treatment team with the patient’s participation begin to plan for a transition to a less intense level of care. Provides multidisciplinary services to children and teens with mental illnesses, behavioral concerns, involvement with the juvenile justice system, or are in jeopardy of placement out of the home. Our case managers will work with families to conduct treatment in school, at home, and in the office.